Sasha Lane and Chloe Grace Moretz at the premiere of 'The Miseducation of Cameron Post'. Ondi Timoner, Matt Smith and Eliza Dushku at the 'Mapplethorpe' premire. Mary Elizabeth Winstead and Common at a screening of 'All About Nina'. Karen Gillan and Mali Elfman at a screening of 'The Party's Just Beginning'. 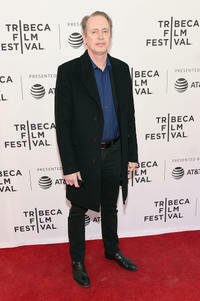 Steve Buscemi at a screening of 'Diane'. John Hillcoat, Kelley Sane, Loreen Babcock, Dr. Mario Garcia, Demian Bichir, Dr. Daniel Goldstein and Ana de Armas speak at a screening of 'Corazon'. 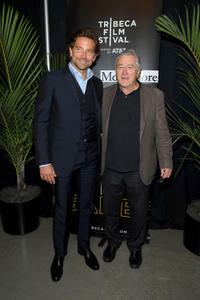 Bradley Cooper and Robert De Niro at the 'Storytellers: Bradley Cooper & Robert DeNiro' talk. 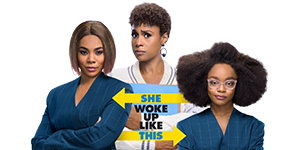 Lily James, Nia DaCosta and Tessa Thompson at a screening of 'Little Woods'. Katherine Waterston, Meredith Danluck, Michael Shannon, Mary Kay Place and Michiel Huisman at a screening of 'State Like Sleep'. Lea Seydoux and Ewan McGregor at the 'Zoe' premiere. Marianna Palka, Alysia Reiner, Christina Hendricks and David Alan Basche at the after-party for 'Egg'. Annette Bening and Saoirse Ronan at the after-party for 'The Seagull'. Tom Hulce, Mare Winningham and Alec Baldwin at the premiere of 'The Seagull'. Steven Bauer, Michelle Pfeiffer, Brian De Palma and Al Pacino at the 'Scarface' 35th anniversary cast reunion. Sara Bareilles and John Legend speak onstage at 'Storytellers: John Legend'. Laia Costa and Alia Shawkat at the screening of 'Duck Butter'. Ethan Hawke and Noomi Rapace at the 2018 Tribeca Film Festival after-party for 'Stockholm'. Brian Girard, Sam Huntington, Kate Micucci, Mark McKinney, Dan Harmon and Vivieno Caldinelli at the screening of '7 Stages to Achieve Eternal Bliss By Passing Through The Gateway Chosen By the Holy Storsh'. 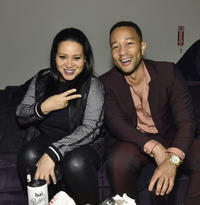 Cheryl 'Salt' James and John Legend at the 'United Skates' documentary after-party.